Looking for the girls weekend ideas? We’ve got all the details you need to know to make your next weekend getaway epic. With a variety of local cuisine, wellness service offerings, unique boutiques and of course, wine – San Luis Obispo is the perfect place to keep everyone busy, happy and satisfied. 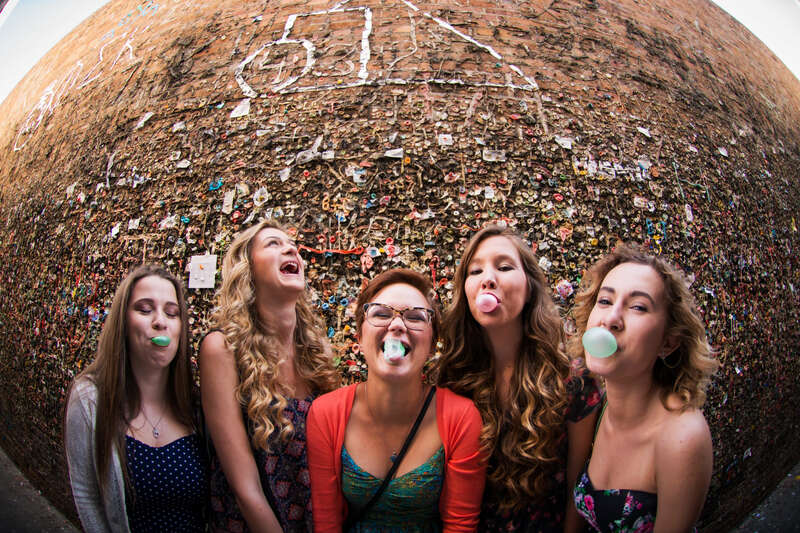 Grab a few of your closest girlfriends and enjoy a weekend getaway in San Luis Obispo. 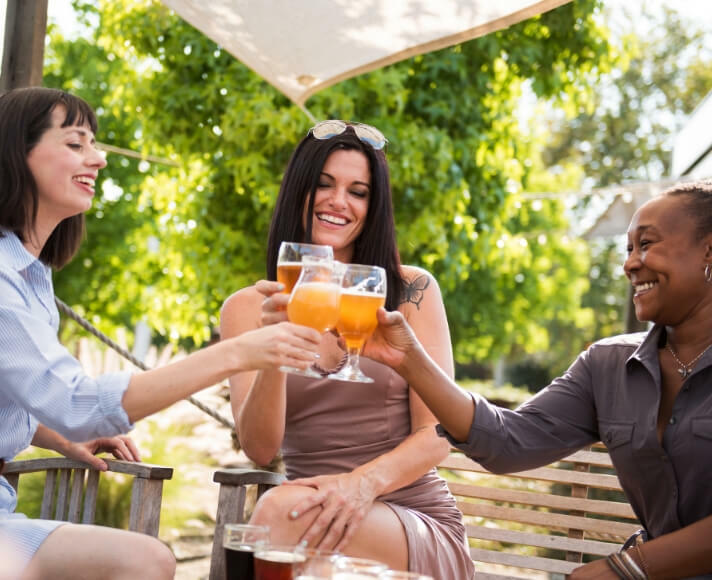 San Luis Obispo is known for its health and fitness-focused vibe, so if you and your girls want to get a workout in before hitting the wine (or beer) tasting trail, there are plenty of options to choose from. Consider Pilates Collective for that Pilates class you’ve been meaning to take or sweat your stressors away in a hot yoga class at Spark Yoga. But, if you’re all about that HIIT craze to get your heart pumping, stop in at Headstrong Fit for an intense one-hour HIIT session that even includes a spin portion. And if the outdoors are more your style, there are plenty of hiking trails in SLO to take advantage of too. Relaxing and unwinding in San Luis Obispo is made easy. Round up your troops for a holistic facial at Beauty Poet, practice some self-care at SLOCO Massage and Wellness Spa or pamper yourself at Pinkies Up for the best mani-pedi. One thing that San Luis Obispo is famous for is Thursday Night Farmers’ Market. Spanning over four blocks, this fresh market features local vendors that bring out their best produce, meats and more for you and your girlfriends to enjoy. The event is an experience in itself, plus you can grab something tasty to take back home with you. With daily farmers’ markets found throughout the area, it’s no wonder that the cuisine in San Luis Obispo is unlike any other, offering farm-to-table plates created by local chefs and restauranteurs. Try Vegetable Butcher for locally-sourced meals for any diet, including vegan and vegetarian options. Bliss Café is also a good option for vegan eaters, offering bowls, smoothies and vegan sandwiches. Other restaurants to check out include Buona Tavola for authentic Italian food, Luna Red for Spanish food or Sidecar for American food and craft cocktails. Bon appetit! If wine is your jam then San Luis Obispo will not disappoint. Try a flight of Edna Valley’s best vinos at Tolosa, Chamisal Vineyards, Saucelito Canyon Vineyard or Wolff Vineyards just to name a few. Oh, and you have to check out Malene Wines Airstream tasting room! Not to mention, their Rose is superb. You can spend a whole day here having a picnic, listening to live music or playing games like bocce ball and board games. Maybe even buy a bottle to pair with your dinner later in the evening! If you want to enjoy your wine tasting excursion in complete care-free mode then check out Breakaway Tours or Hop on Tours for a fun chauffeured ride through the vineyards. San Luis Obispo has a vibrant art scene to take advantage of. Visit the San Luis Obispo Museum of Art’s rotating exhibits or, on the first Friday of every month, enjoy Art After Dark which features local artists’ work at various businesses in the area. If you’re looking to get your hands dirty, visit Art Bar to learn to create anything from watercolor to acrylic masterpieces. Maybe even try your hand at pottery at Anam Cre where you and the girls can sculpt and glaze the day away. Whether you’re spending a weekend in town for a bachelorette party, girls’ get together or wine tasting adventure, San Luis Obispo offers something for every gal in your group. Located just halfway between San Francisco and Los Angeles, San Luis Obispo is your perfect relaxing destination for you and your closest girlfriends in 2019. Find your San Luis Obispo hotel today and start planning your trip.